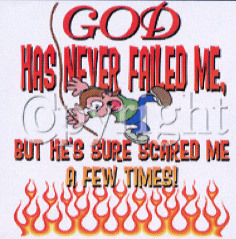 "God has never failed me, but He's sure scared me a few times!" on a white sweatshirt. Heavy weight Hanes 90/10 shirts.